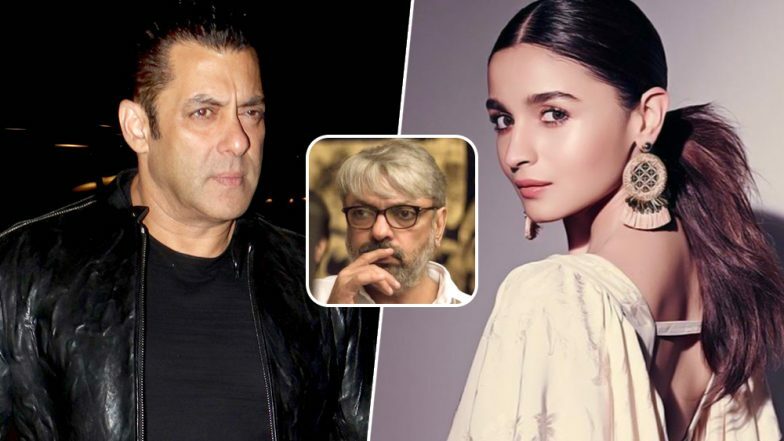 Ever since the announcement of Salman Khan and Alia Bhatt coming together for a Sanjay Leela Bhansali was announced, we have been waiting to hear more about the film, titled Inshallah. Fans were left surprised with the pairing of Alia and Salman, given their age difference but Alia recently also spoke about the reason for this unusual casting and mentioned that the filmmaker has a plan in place. Reports suggest that the filmmaker has now locked the shooting locations for the film. Alia Bhatt Talks about the Reason behind Her Unusual Casting Opposite Salman Khan in Inshallah. Apparently, Sanjay Leela Bhansali recently made a visit to the famous Maya Devi temple in Haridwar as a part of the recce. Reports suggest that the Padmaavat director may be locking on Haridwar, Rishikesh, and Varanasi to shoot his next film. According to a leading daily, the Pandit who showed the director and his team around in Haridwar mentioned that the filmmaker liked a few locations but is yet to finalise them. Kalank Movie Review: Alia Bhatt, Varun Dhawan, Kunal Kemmu Shine in a Beautifully-Framed but Dull Love Saga Set During the Partition. Recently in an interaction, Alia spoke about working with Salman for the first time. She said, "I am thrilled to be working with Salman. Even I never thought this combination [working with Khan and Bhansali] is possible. It will be an intriguing journey and Salman is genuinely warm and kind. They are a magical duo together and I am blessed to be in it." Currently, Alia already has a big release, Kalank which has hit the screens today. So far, the reviews suggest that the actress has once again spread her magic on the big screen and has added yet another stellar performance to her career. Let's see what Alia has to offer next in Inshallah.